The outbreak of World War II brought many changes to Britain's Brigade of Guards. 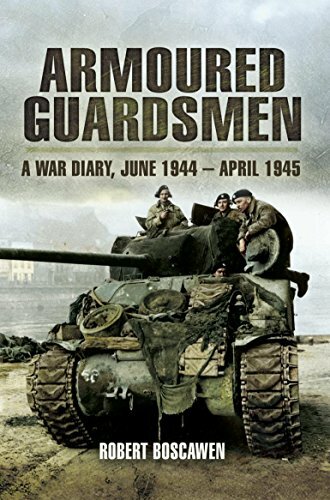 The dress-parade units had always maintained a full combat capacity and made a relatively easy transition into a new unit, the Guards Armoured Division. The Guards landed in Normandy on D+4 and steadily fought their way across northern Europe. Robert Boscowan was a tank commander in the 1st Coldstream Guards and had four tanks shot from under him. On the fourth occasion he was badly wounded and burned, making a difficult postwar recovery. The years after the war, however, also brought both business and political success, culminating in a 23-year career in Parliament. Boscowan's account of Britain's elite at war is based on his wartime diaries.